Find Alpharetta, GA Condos for sale. View Photos, Maps and MLS Data Now! Enclave At Glen Abbey - Tremendous All-Brick Impeccably Maintained Ranch In Gated Comm In Heart Of Alpharetta W/Superb Features - Finished Basemnt W/2nd Family Room, En-Suite Baths, Custom Bkcases, Surround Sound, Office & Walk-Out To Patio&Yard W/Garden Lighting!Front Porch,Coffered Ceilings,Hardwoods,Custom Window Treatments, Blinds & Silhouette Shades!Gourmet Granite Kitchen With Custom Cabinets, Deluxe Appliances, Double Sided Island!Owners Suite W/Molding,Private Deck Door, Frameless Shower, Oversized Closet With Built-Ins & Deck Awning!Hoa Handles Your Landscaping&3 Parks!Mins To Avalon/Greenway/Expressways & More! MLS#6539428. Atlanta Communities. Optnl S/T @ Windward Lake Club & Golf @ Golf Club Of Ga! MLS#6539379. Berkshire Hathaway Homeservices Georgia Properties. Fenced Backyard W/Double Deck & Exterior Lighting. Excellent Schools & Neighborhood Amenities! MLS#6538506. Keller Williams Realty Atlanta Partners. Summit At Shiloh - Tenent Living In Home, Can Move Out With Short Notice. Please Coordinate All Showings. MLS#6539455. 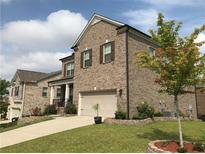 Georgia Home Realty, Inc..
Saddle Bridge - Superbly Impeccable & Nothing Left For You To Do But Move-In. Near Cul-De-Sac & Top Ranked Schools. MLS#6539650. Atlanta Fine Homes Sothebys International. Still Time To Make Selections And Customize To Be Your Next Home! MLS#6538864. Ansley Atlanta Real Estate-Atlanta North. The Falls Of Autry Mill - Fully Finished Terrace Level With Playroom/Rec/ Theatre Room, Bar, Bedroom, Offices, Full Bath, Entertainment Areas.Move-In Condition. ! MLS#6536204. Virtual Properties Realty.Com. All In Swim/Tennis Community With Top Schools! MLS#6539073. Keller Williams North Atlanta. Birkdale - The Terrace Level Has A Pool Table,Fire Place And Half Bath Exercise Room And Is Stubbed For A Wet Bar. Hard Coat Stucco MLS#6538587. Bhgre Metro Brokers. Walk To Newtown Park And Shopping. Welcome Home! MLS#6538742. Atlanta Fine Homes Sothebys Intl.. Excellent Condition & Move-In Ready! Welcome Home! MLS#6529316. Keller Williams North Atlanta. Windward - Hard Coat Stucco. Great Location. Excellent Schools! MLS#6537799. Keller Williams North Atlanta. Stevens Creek - Enjoy Beautiful Swim/Tennis And Community Amenities And Great Schools! MLS#6538820. Harry Norman Realtors. Timberstone - Professional Pictures Will Be Posted Friday Evening. MLS#6538721. Re/Max Town And Country. Minutes To 400 (Exit 10/11/12), Great Schools, Avalon, Halcyon, Greenway, & Downtown Alpharetta. MLS#6538221. Atlanta Fine Homes Sothebys Intl..
Nesbit Lakes - New Carpet, New Paint, New Hvac, Immaculately Maintained. MLS#6537983. Atlanta Fine Homes Sothebys Intl.. Owner Suite On Main Level With Whirlpool Tub, Separate Shower, Walk In Closet. Screened Porch Overlooks Private Backyard. MLS#6537711. Compass. River Ridge - Totally Private, The Backyard Double Decks Are Enhanced By Gorgeous Landscape Lighting. A Must See!! ! MLS#6537633. Atlanta Fine Homes Sothebys Intl.. Walk To Wills Park, Alpharetta Retail, Shops, Dining! Location! Milton Hs! MLS#6537667. Keller Williams Realty Community Partners. Pennbrooke - Walk To Grocery Store And Restaurants. MLS#6537657. Ostenson Real Estate Group, Llc..